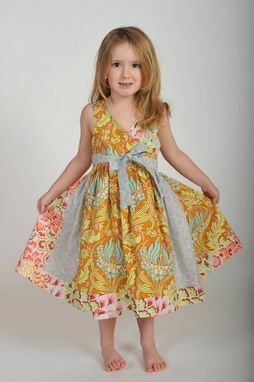 Adorable girl's wrap-front dress. Sewn-in waist tie wraps around from back, and ties in the front. Lined and sleeveless bodice. 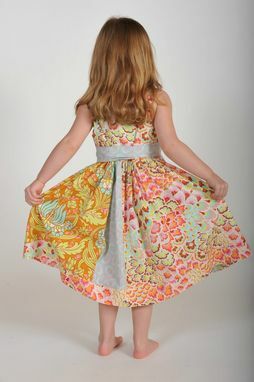 Extra full stripwork skirt with a generous amount of fabric is made for twirling and spinning. This dress is not just pretty – it's practical for wear in all seasons. In warm months wear it as is. In cooler months pair it with a shirt or sweater, and leggings or tights. 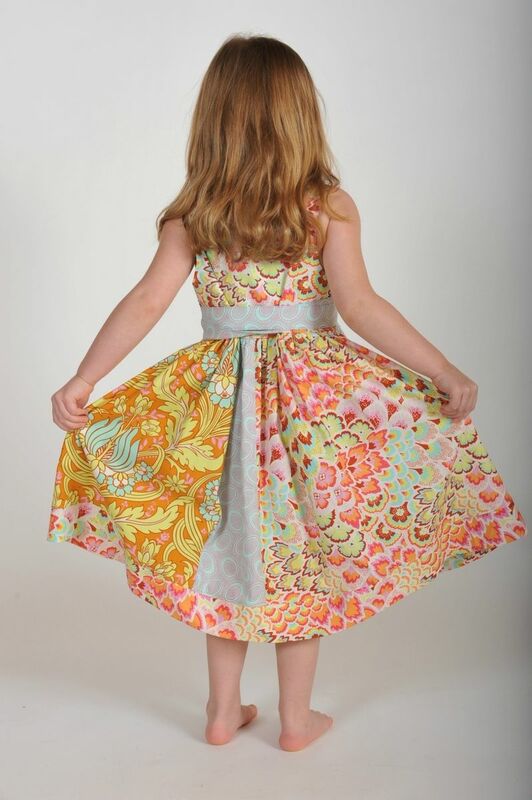 Meticulously sewn and professionally finished, this dress will last for many seasons of wear. Available in sizes 2-8. Message me with the following measurements for a custom fit – height, chest (all the way around), and length from top of shoulder to mid-knee. 100% cotton premium quilting weight is machine washable, tumble dry low. Photography credit: Thanks to Mike Kohberger Photography for the photos of this dress. Dimensions: Available in girl's sizes 2-8.